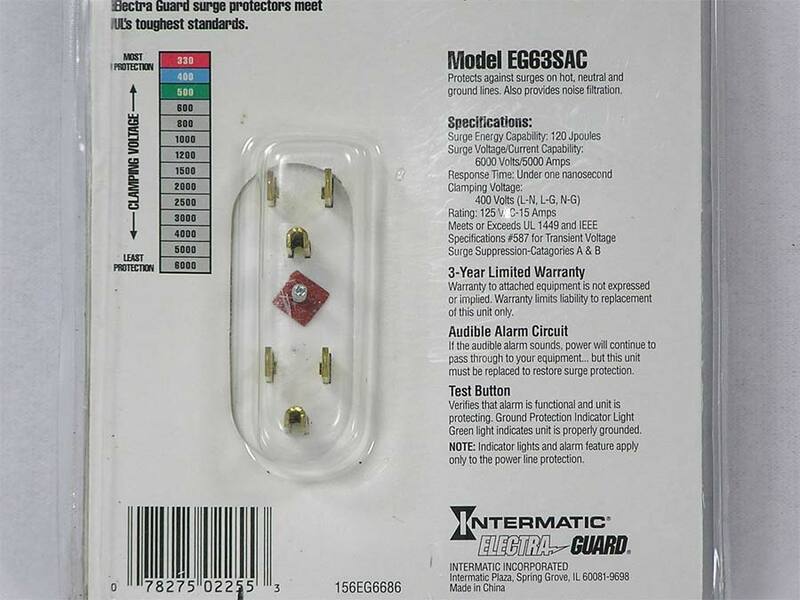 The Intermatic Electronics Surge Protector, Model EG63SAC. 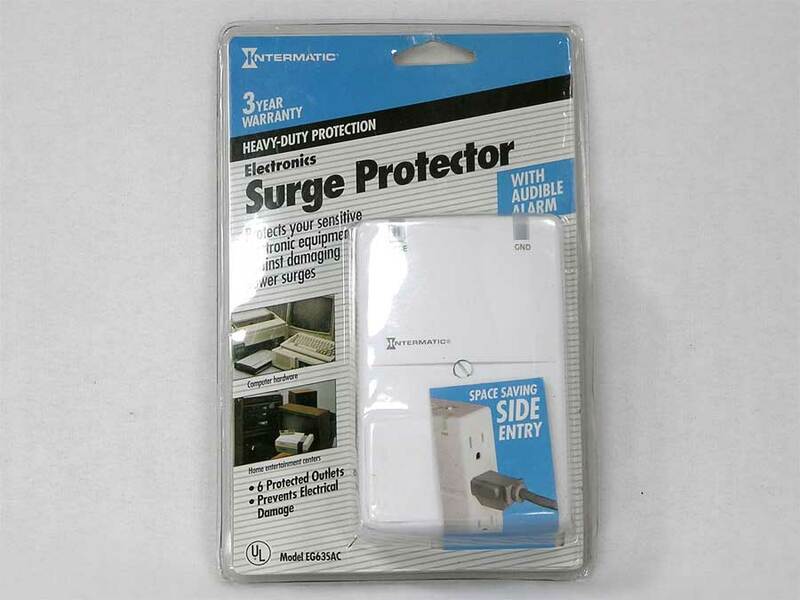 Features an audible alarm and screws into a grounded wall outlet in place of the cover. 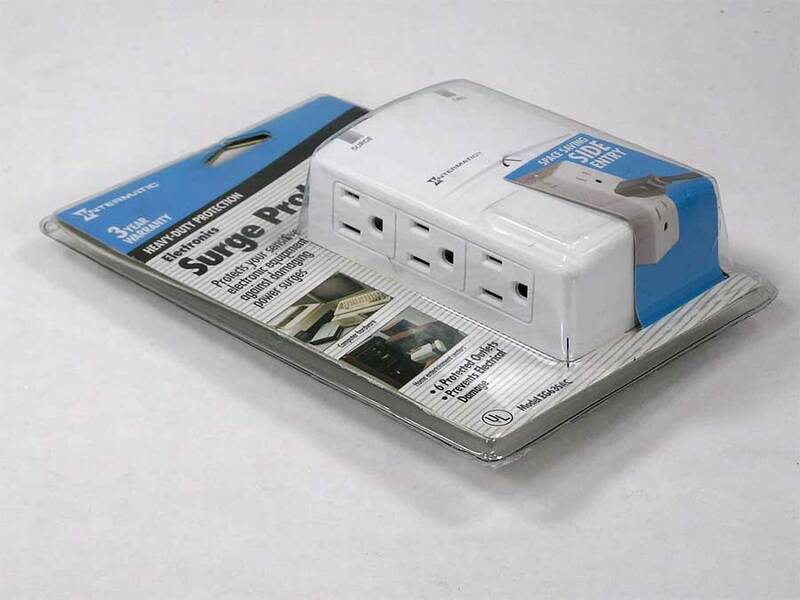 Then you have 6 protected outlets, 3 on each side to guard against electrical surges and spikes. 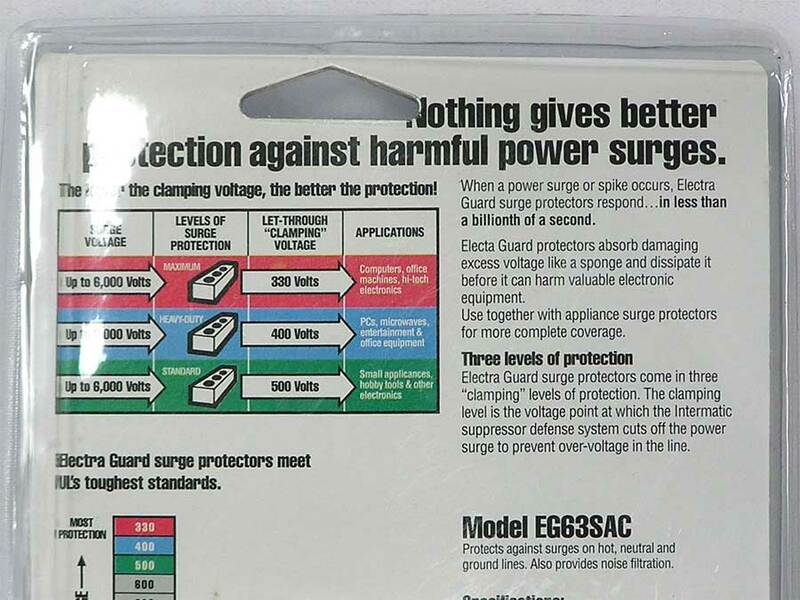 Protects up to 6000 Surge Volts and 400 Clamping Volts. New and sealed.